ZOTAC has released two AMD's 800 chipset family-based on Mini-ITX-size motherboard, which is specifically aimed at small-size and energy efficient HTPC computers. The published models are M880G-ITX WiFi and a 880G-ITX WiFi. 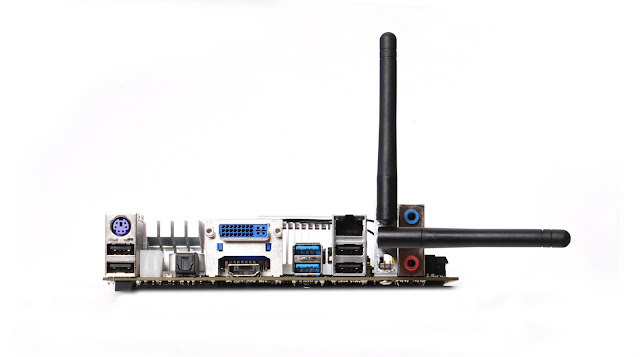 M880G-ITX WiFi M880G-enabled northbridge and SB820M-southbirdge, the first-mentioned integrated ATI Radeon HD 4200 graphics driver for accelerating 3D applications in fields such as high-definition videos. The motherboard has an integrated dual-core 1.5 GHz Turion II Neo K625 processor and contains two DDR3 memory sockets, PCI Express x1 connector, six Serial ATA 6 Gb / s connectors, HDMI and DVI display connectors, network and the audio controller, two USB 3.0 connectors , 802.11n-enabled wireless network controller. Powered by AMD® 800 series chipsets, the ZOTAC® M880G-ITX WiFi and 880G-ITX WiFi platforms deliver a premium AMD® experience in a mini-ITX form factor with USB 3.0, SATA 6.0 Gb/s and 802.11n WiFi technologies. High-performance integrated ATI Radeon™ HD 4200 series graphics processor enables stunning visuals with Microsoft® DirectX® 10.1 technology. ATI Avivo™ HD technology provides the ZOTAC® M880G-ITX WiFi and 880G-ITX WiFi with hardware decode acceleration for flawless playback of 1080p high-definition content – online and offline. “ZOTAC® is the world leader when it comes to high-definition-ready mini-ITX platforms. We are able to provide an energy-efficient AMD® platform with the new M880G-ITX WiFi, while the new 880G-ITX WiFi introduces socket AM3 compatibility to our mini-ITX product line up,” said Carsten Berger, marketing director, ZOTAC® International. The ZOTAC® M880G-ITX WiFi brings notebook levels of energy-efficiency to the desktop with a combination of AMD® Turion™ II Neo Dual-Core K625 mobile processor and ATI Radeon™ HD 4200 series graphics processor – components from the 2010 AMD® Ultrathin Platform. For more performance-demanding tasks the ZOTAC® 880G-ITX WiFi is the ideal mini-ITX form factor for AMD® Phenom™ II, Athlon™ II and Sempron™ processors. Compatibility with socket AM3 processors empower the user to select the right amount of processing power for their computing demands – whether its single, dual, tri or quad-core processing – with the ZOTAC® 880G-ITX WiFi. 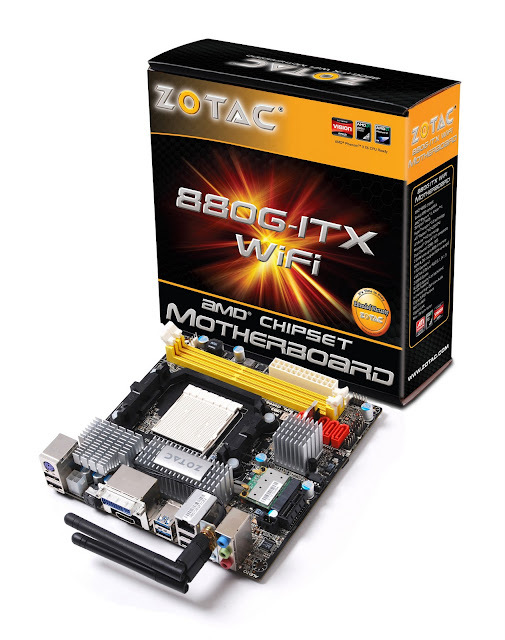 It’s time to play with the ZOTAC® M880G-ITX WiFi and 880G-ITX WiFi.